Hello from ye olde England! I arrived yesterday from Sweden, where I flew into Birmingham and straight away made my way to the University of Warwick, near Coventry. I was met by Michael, my work colleague from Oz, and Jane, my host here at Uni of Warwick, who then whisked me away to the university campus. Straight away I was met with lovely hospitality, boding well for my next 5 weeks working here. After some dinner together, I retired to my temporary lodgings here in the small town of Leamington Spa, where I am for the next week until me flat at the uni becomes free. But enough of the work talk! What have I been doing? Well, today was a grey Saturday, and it was the last chance Michael and I had to catch up before he heads back to Oz and I start my research trip in earnest. 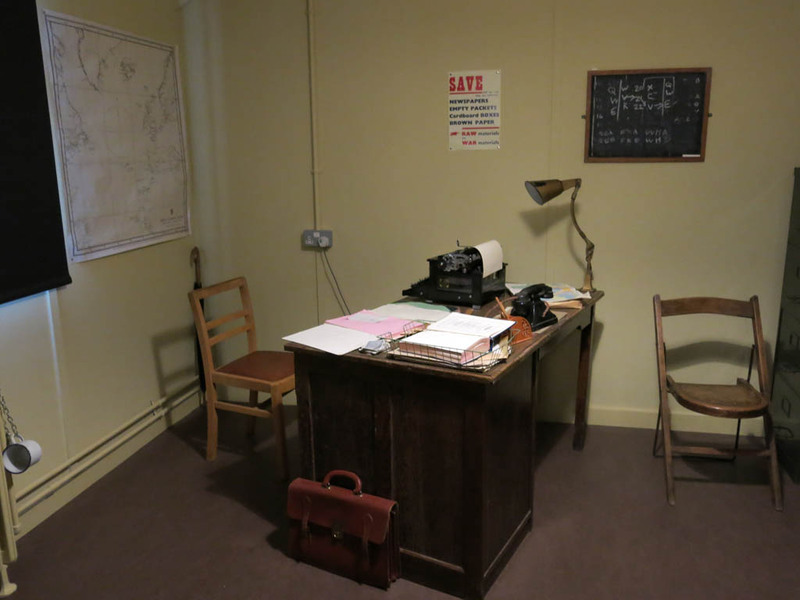 But rather than talk shop in a hotel or at the campus, we decided to do it on the train… to Bletchley Park! Bletchley Park is only an hour from Coventry, so it was a good excuse to visit, since I had not had the chance. 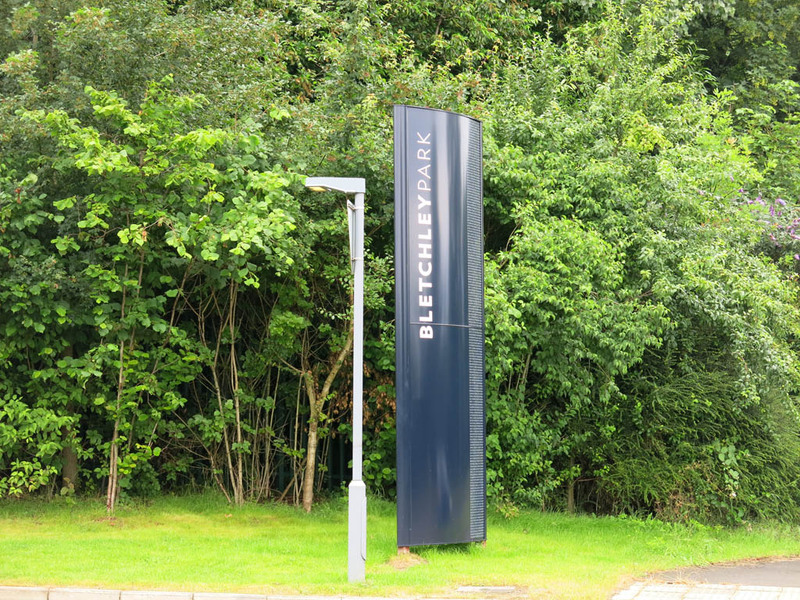 Bletchley Park, for the unaware, is the home of the codebreaking effort of WW2, as well as the spiritual home for all IT people. Why? 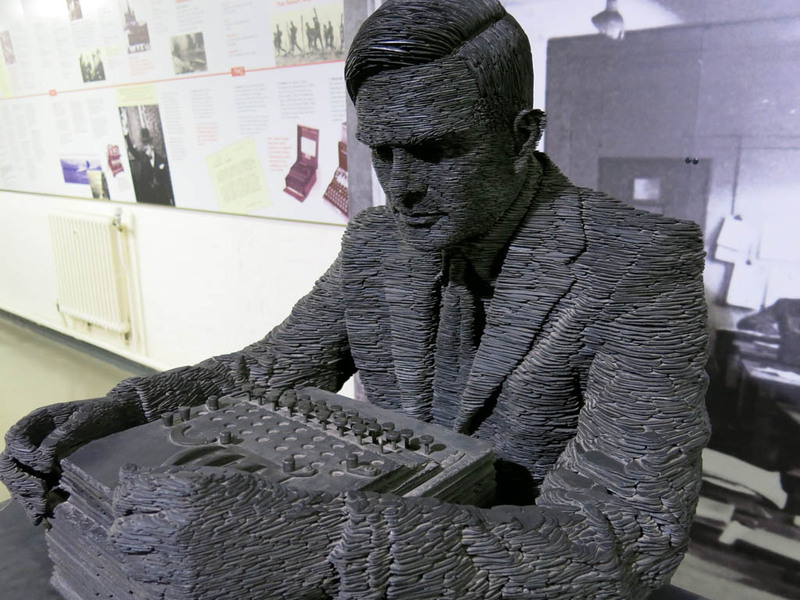 It is really the birthplace of modern computing, with Colossus, the world’s first programmable digital computer being developed here to help in the codebreaking efforts. So super exciting! 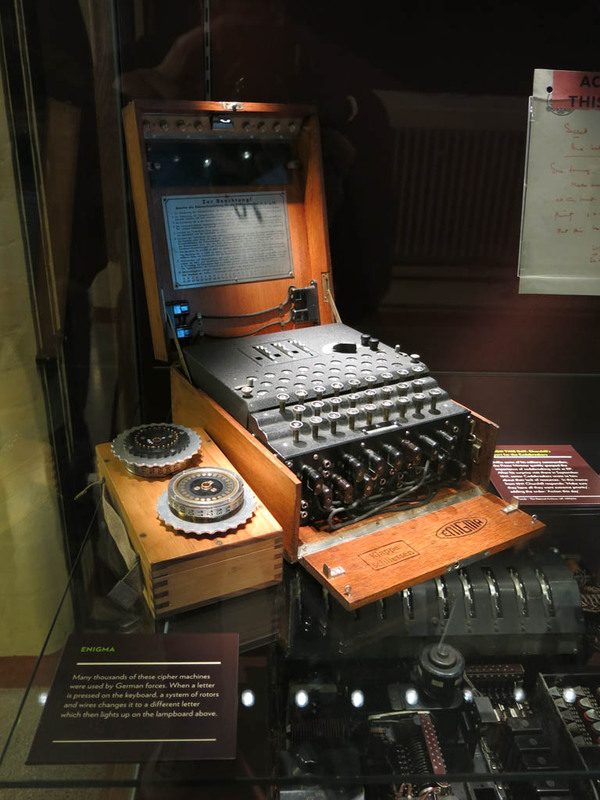 We arrived to Bletchley Park and were greeted by the fairly new main visitors centre, which I believe is in the once decrepit, now gloriously restored, Block C. Immediately we set eyes on one of the famous Enigma machines. Holy cow it was exciting to see one in the flesh (or metal as it were). part of the brain of colossus! And from there our exploration began in earnest. 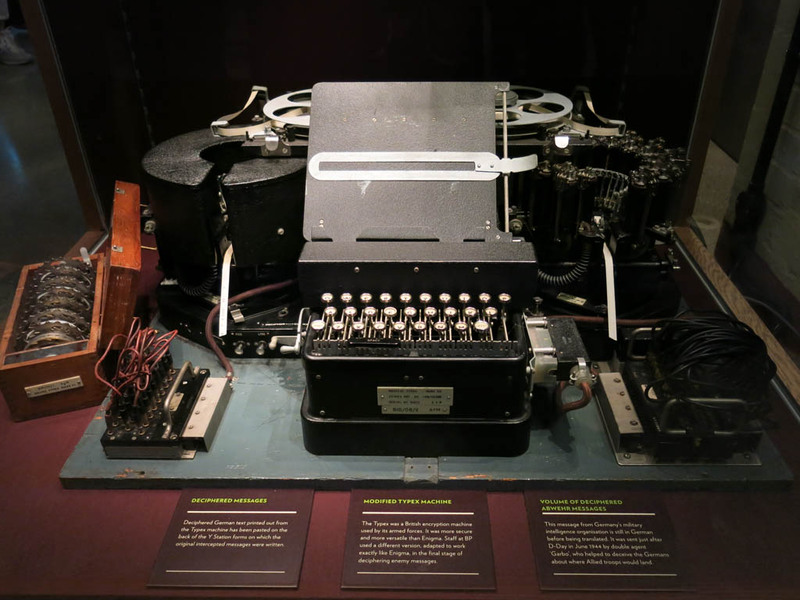 We made out way through the opening exhibit, seeing all kinds of other historical gems, such as Typex machines and pieces from Colossus itself. Block B housed a large historical exhibit, covering most of the detail of what happened and how it all happened. Especially prominent in this section was the great man Alan Turing, considered the father of modern computer science and artificial intelligence. The exhibit was a great dedication to the man, including a very cool slate statue, and the formal apology from the British Government for his disgraceful treatment after the war. Dotted around the whole site were many posters from the era. 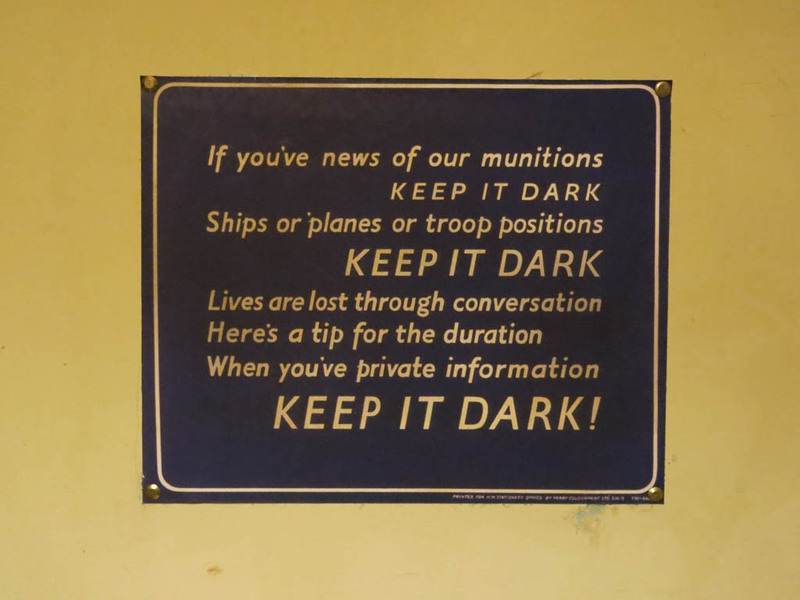 My favourites were the ones warning personnel not to talk about anything. Who knows who you may be talking to! From there it was to the famous mansion at the heart of the site. It is incredible to think that, aside from one close (but apparently accidental) bombing incident, the whole site went unnoticed to the enemy. The rest of the site comprised on very cool displays and recreations inside the many blocks and huts around the site. I gather that a lot of work has been done in the past few years to restore the huts, and it was certainly worth it to be able to wander inside them and get a feeling for exactly how they would have been back in WW2. In the blink of an eye 5 hours had passed. It really is an amazing site and it is great to see they are continuing to restore as much of the original buildings as possible. So with that we decided to head back to Coventry. I couldn’t resist snapping a pic of another classic English tabloid headline. The Suarez jokes are running thick and fast (and still hilarious)! 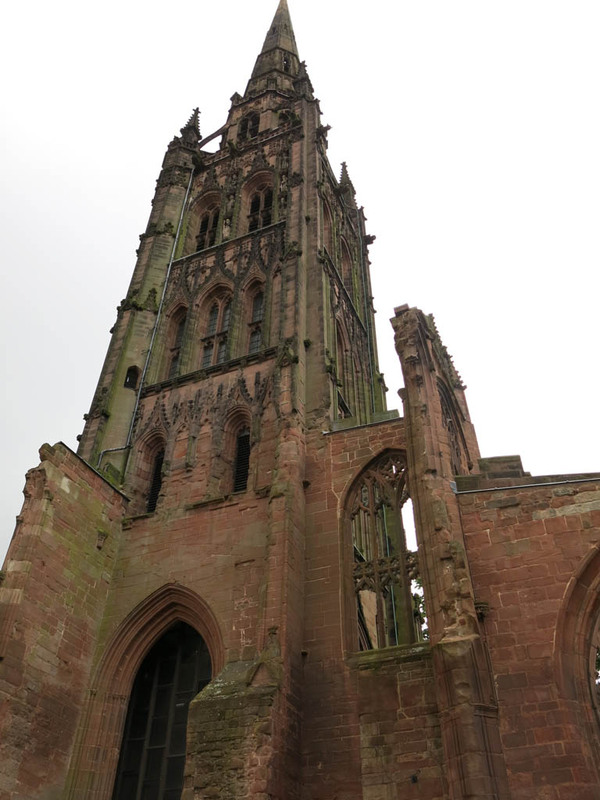 Rather than head straight back to my digs at Leamington Spa, Michael gave me the quick 10 cent tour of downtown Coventry. The most impressive feature is the old Cathedral. What makes it different to others? While it survived WW2, all that survived were the spire and shell… everything inside was destroyed. Quite incredible that it could stay standing, but apparently the iron work was that good. Super amazing to be in the middle of it. I also got to see the statue dedicated to Lady Godiva, who famously rode through the town naked in the 11th century to oppose the immense taxes her husband was placing on the towns folk. She presides over the main town square, as well as pops out of the Broadgate Clock (while Peeping Tom leers on). Suitably kitschy. We were done in time to arrive at a pub about 15 minutes in to the first Round of 16 match in the World Cup. What good timing! And to continue my rubbing it in to my friends, I then proceeded to watch the thrilling Brazil v Chile game in a pub, while having a good meal and pints. Sadly Chile went down in penalties, but I wasn’t complaining (being full of cider). With that, it was back on the train to Leamington Spa to watch some more World Cup in the comfort of my hotel. I even got to watch some Jack White from Glastonbury! Muttler for the win.